The meters were developed in association with Dorrough Electronics. Waves' latest plug-in bundle is a collection of virtual meters, all of which are based on hardware models made by Dorrough Electronics. 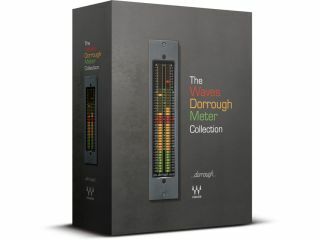 The Dorrough Meter Collection features software versions of the 280D/240D, 380D/340D, and 40AES/EBU meters, and these are designed to offer "the same readability, musicality and accuracy of the original units"
Average and peak levels are displayed in a single readout, and the meters can be run in extra large, large and small formats. Other features include super-fast peak response and left/right phase correlation. The Dorrough Meter Collection should be available now for Mac and PC, though no pricing details have yet been released.